759460-RB is rated 4.0 out of 5 by 29. 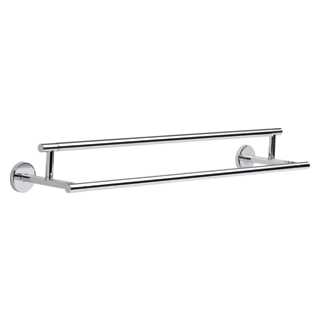 Complete the look of your bath with this Trinsic Towel Ring. Delta makes installation a breeze for the weekend DIYer by including all mounting hardware and easy-to-understand installation instructions. You can install with confidence, knowing that Delta backs its bath hardware with a Lifetime Limited Warranty. Rated 5 out of 5 by edennerose from Been using for over a year and it's great I came here to buy more of these for our second story remodel, saw some reviews and had to weigh in. 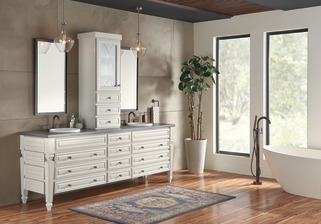 We have one in our powder room and we love it. It has never fallen off the wall, there's no way that could happen if it is installed correctly. The ring does not pivot as mentioned and at first I thought that it was a little weird but actually it means our towels stay in place when the kids are drying their hands. The whole line is super stunning and I'm so glad we went with Trinsic. Rated 2 out of 5 by Looney from Looks Good, Not Functional I bought this towel hook/ring to replace a cheaper brand that looked similar to the Delta Trinsic line that I was trying to match up to the Delta Trinsic faucet I installed. Unfortunately, this towel hook/ring also falls off the wall as the previous one did. Additionally, the Trinsic towel ring is fixed, meaning, there's no movement to the hook. That would be fine if the hook weren't so close to the wall. It doesn't protrude far enough to fit your towel properly, so you end up having to stuff it on the hook to get it to fit between the fixed hook and the wall, which, in turn, makes the mounting fall off. Super not functional. The only thing I can say good about it is that it's pretty and looks nice with the faucet. 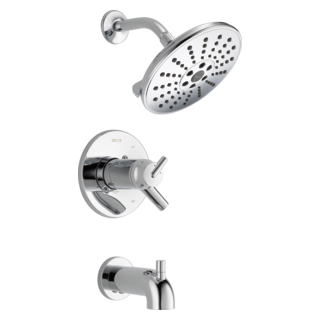 Rated 5 out of 5 by Whitlo86 from Beautiful I bought three of these to complete my Trinsic bathroom hardware set and it works great and looks really cool. Just modern enough. The black and champagne bronze are great. Rated 5 out of 5 by Mike from Looks great Very simple and elegant looking towel ring. Easy to hang towels on. Rated 1 out of 5 by user from terrible mounting hardware I've installed numerous bath accessories and the mounting hardware for these is terrible. Includes drywall anchors that are way to heavy duty for this application and they break when screwed in as they are a rather soft plastic. Should just be the normal push-in anchors. Rated 2 out of 5 by Leann from Pretty But Not Very Secure The set screw and mounting mechanism do not come together well on this bar. While the mounting mechanism is secure to the wall, the set screw does not stop this bar from rotating on the mounting plate. Disappointing. Rated 2 out of 5 by sqsosa from Looks great but keeps falling off! Love the look, hate the functionality. The "c" shaped part does not click in or attach to the wall mount so it's just loose and falls out when you use the towel. I had to super glue it into place. If anyone knows if we missed a step that wasn't explained in the instructions, please let me know! I have 3 more to install. What color matches trinsic stainless steel better brushed steel or polished steel? I would like to buy a towel warmer and don't know what color to buy to match my new trinsic stainless steel bathtub faucets. Thank you for your question. 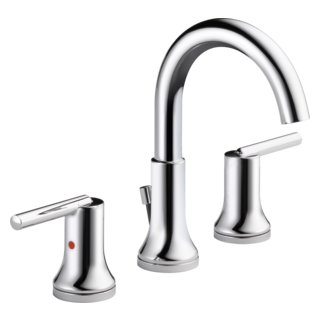 Delta Faucet model # 759460-SS will not be an exact match to your towel warmer but we would recommend brushed steel over polished steel. The Stainless Steel finish is not shiny. 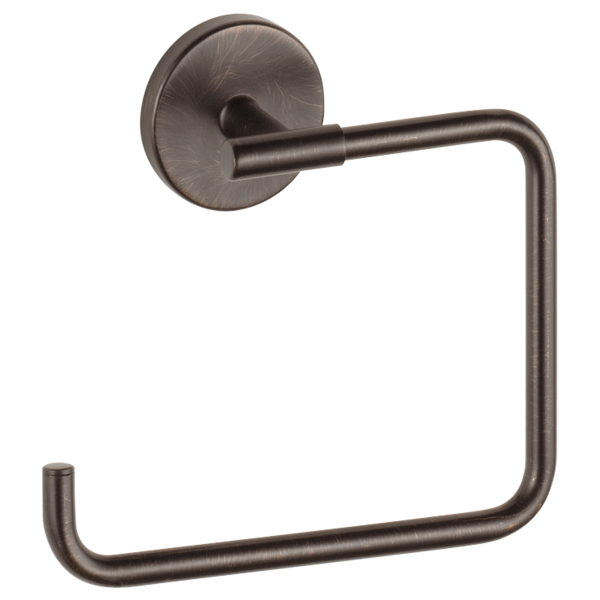 Delta 759460 Trinsic Wall Mounted Towel Ring was professionally installed last year but it came loose from the wall. Removed it &amp; re-attached metal mounting piece to plaster wall with heavy duty anchors but having trouble reinstalling towel holder. 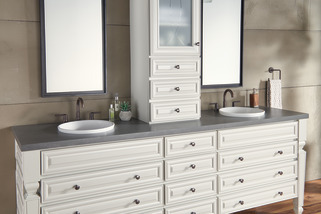 Can this product be mounted both directions so that it can be symmetrical on two sides of a vanity? Mine came missing the set screw - how do I go about getting the piece?